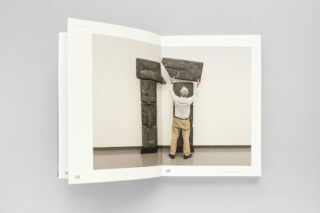 Influential figure in the development of Arte Povera, then pioneer of New Media Art, Piero Gilardi is one of the most eclectic artists of his time. 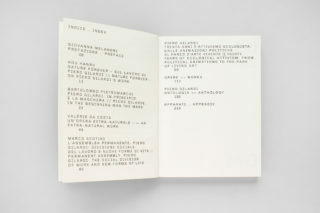 He was always an independent artist but also an activist, critic and theorist. 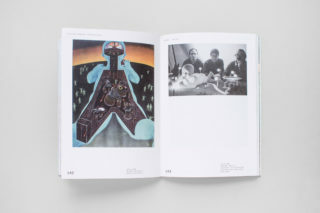 He took part in two fundamental exhibitions of the second half of the 20th century: Op Losse Schroeven by Wim Beeren and When Attitudes Become Form by Harald Szeemann, both held in 1969. 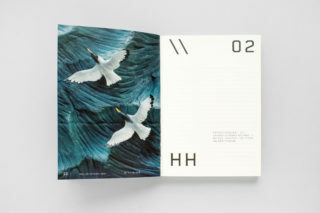 We have been very fascinated about his work. 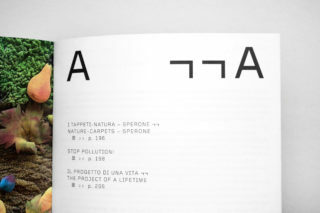 At the centre of Gilardi’s experience there is the relation between man and nature transformed by technological progress in the contemporary era of Antropocene. 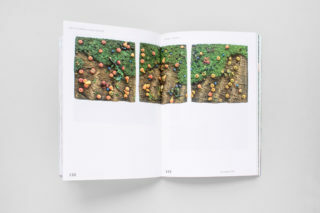 In the Eighties he invented a new idea of nature, emptied of its material characteristic but artificial in forms and colours. 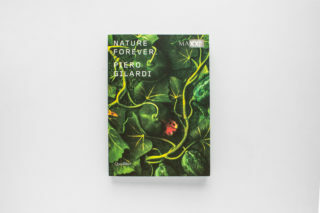 By the use of the polyurethane foam, Gilardi’s Nature Carpets provides to give us a trick in which the form of nature is unreal and transformed by human with the function of welcoming and interaction with the body. 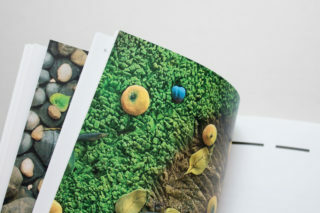 This “nature” is simulated but inside is technological. 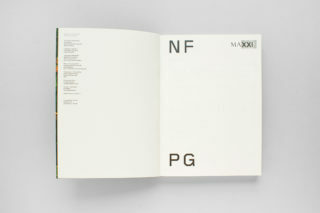 Without any doubt we decided to reveal this hidden part of his work. 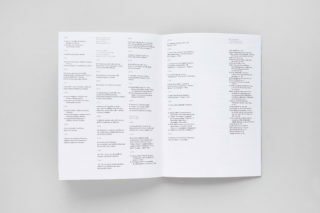 We wanted to bring to light a part of his work that seems to be silent, but instead is strong. 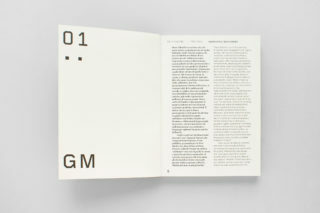 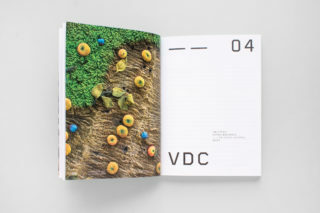 We did it by using a squared designed typeface, which refer to technology and new media. 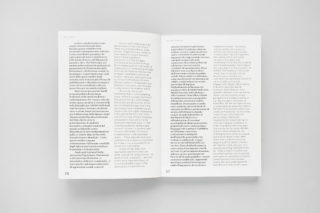 For the exhibition’s catalogue we decided to use, together with the typeface, a code maded of signs like slash, dash, guillemets and colon ( // >> ——), which reveal the technological and media aspect of Gilardi’s work. 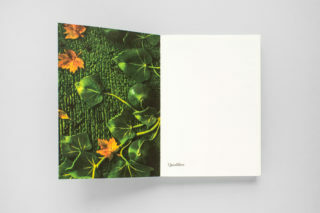 We used full images of Nature Carpets that, starting from a page of the book, run until a second one. 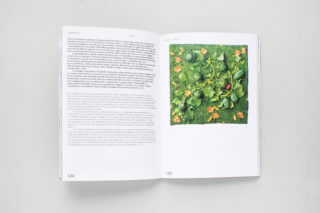 What we tried to do through this dodge was the possibility to guide the reader beyond what is the visible work of the artist. 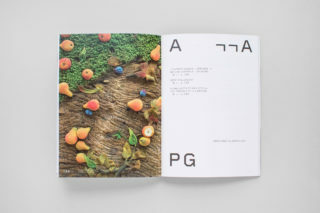 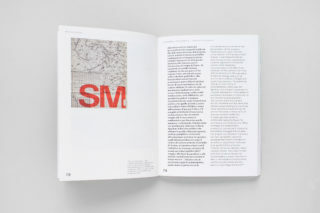 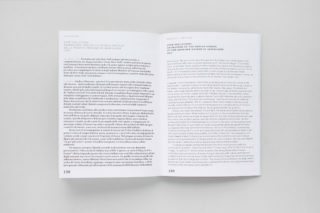 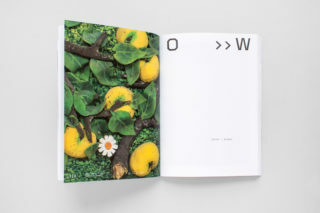 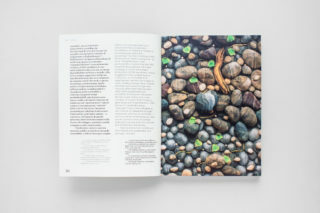 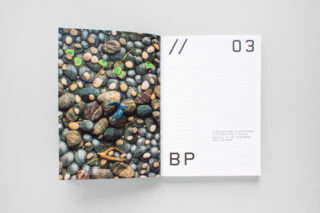 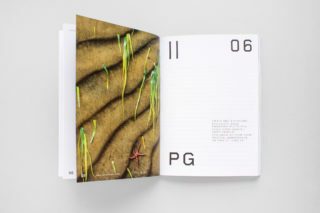 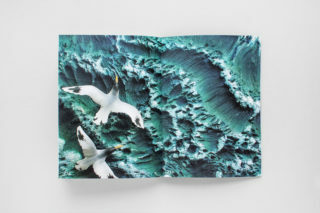 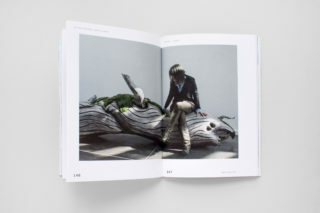 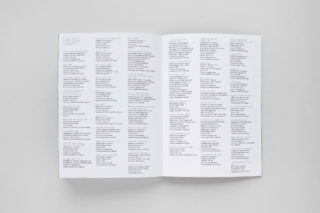 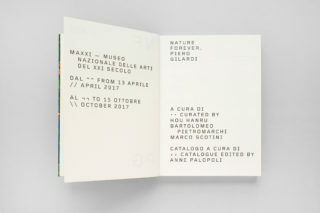 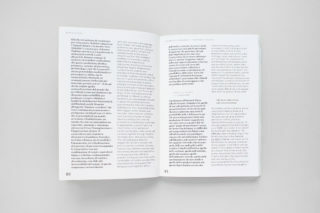 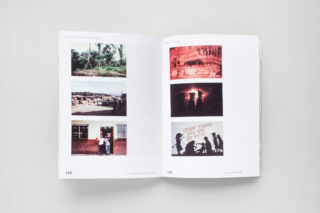 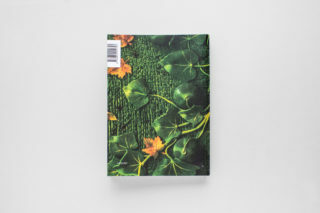 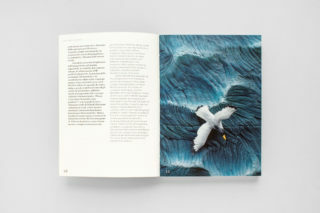 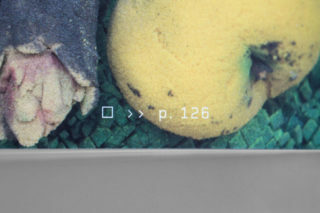 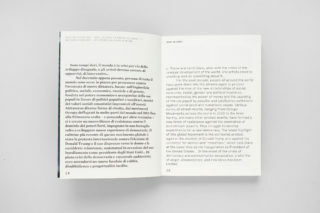 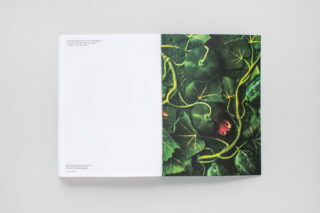 The catalogue was curated by Anne Palopoli and edited by Quodlibet. 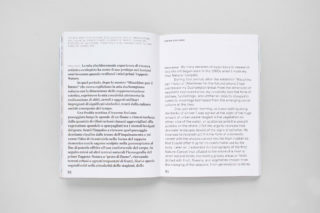 With essays by Valérie Da Costa, Piero Gilardi, Hou Hanru, Bartolomeo Pietromarchi and Marco Scotini.